A Canadian medical team that travelled to Ukraine to do reconstructive surgery on people wounded in the revolution and the violent conflict in the eastern part of country found themselves transformed by the experience. Dr. Oleh Antonyshyn hauls two large black cases onto a luggage cart at Toronto's Pearson International Airport. He unzips one of them to reveal an assortment of medical devices and surgeon's tools. "Saws, drills, power equipment, surgical foam, titanium mesh," he says. "All the devices we need to put facial bones and fractured hands back together again." A team of 25 Canadian surgeons, nurses and doctors volunteered for a 10-day mission to Ukraine to help mend the wounded from nearly a year of revolution and war. 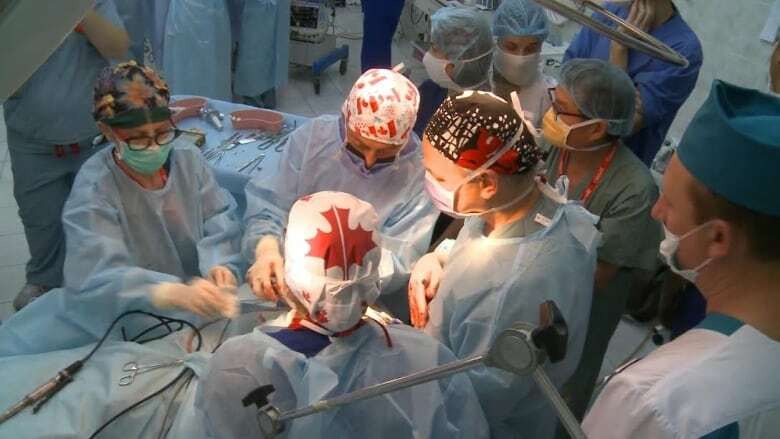 (Gary Hanney/Operation Rainbow)​Antonyshyn, a plastic surgeon and head of the craniofacial program at Sunnybrook Health Sciences Centre in Toronto, and a team of 24 other surgeons, nurses and doctors volunteered for a 10-day mission this month to Ukraine. There, they helped mend the wounded from nearly a year of revolution and violent conflict. Dolly Khanna has no ties to Ukraine. She's a pre-op nurse from Vancouver and has volunteered before on humanitarian missions. But she's never been close to war. At Vancouver's airport, she struggled to keep her emotions in check. The Ukrainian patients have already had operations to keep them alive. Now they need another level of surgery to redress a deformity or improve their hand and arm function. A year of revolution and conflict in Ukraine has overwhelmed medical resources. Kyiv's Military Hospital is one of the best facilities, strained with a revolving door of trauma cases that need high skilled reconstructive surgery. 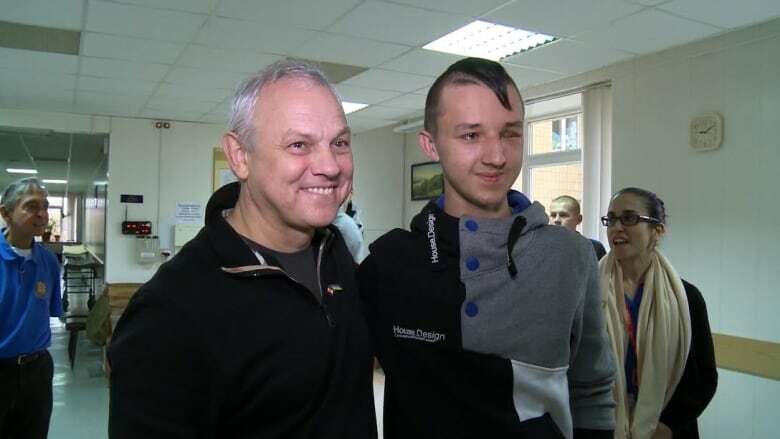 'This boy is one of the main things that made me personally want to come to Ukraine,' says Dr. Oleh Antonyshyn of his desire to help Nazar Derzhylo. (Gary Hanney/Operation Rainbow)​Nazar Derzhylo was 16 when he snuck out of his parents' house to go to Kyiv's Independence Square to help with the student revolution. He was assisting in a makeshift medical centre when a friend opened what he thought was medical supplies. It was explosives. Nazar was blown unconsious. Nazar's father Ivan says it was the most terrible night of his life. "I got a call from police. They said: 'Your son's a terrorist, he's lost his hands and arms, he's not going to survive.' "
He did survive, and he didn't lose his limbs. He did lose an eye. The Canadian team reconstructed his eye socket to prepare it for a prosthetic eye. Then they worked on his eyelid to better match his other eye and to give a teenager a better appearance. The team assessed 60 cases and performed 37 operations in 10 days. The operating rooms bristled with a swarm of doctors. Nurses and staff sometimes moved between one patient and another in the same room. 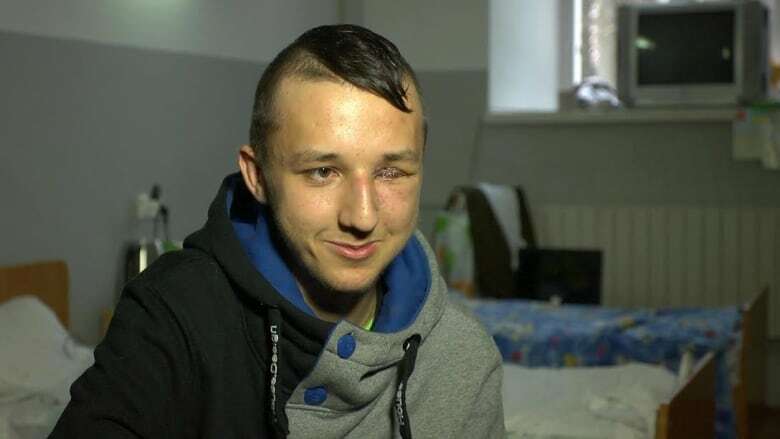 Nazar Derzhylo lost an eye in an explosion after he went to Independence Square in Kyiv to help with the student revolution. (Valeriy Fylypyshyn)Dr. Tara Stewart, a plastic surgeon from Toronto, performed a midface reconstruction on 24-year-old Roman Betash, who was shot in the face by a sniper. "He had a lot of scars and shrapnel still in his face," she says. "He basically fractured his entire midface." For the medical team, the last day in Kyiv was moving. Finally the team shed their surgical gowns and gloves and hopped aboard a bus for a tour of Kyiv's now-famous revolutionary landmarks, where many of their patients were wounded. "When we did our last case, we cleaned up our supplies, we came back to the theatres, I walked down the hall it was dark and quiet," he says, his voice catching. "It was mission accomplished, I guess. We had done our bit." The team that left Canada to help mend a country had themselves been transformed. They came home with a sense this is not the end but a beginning of more Canada-Ukraine missions. 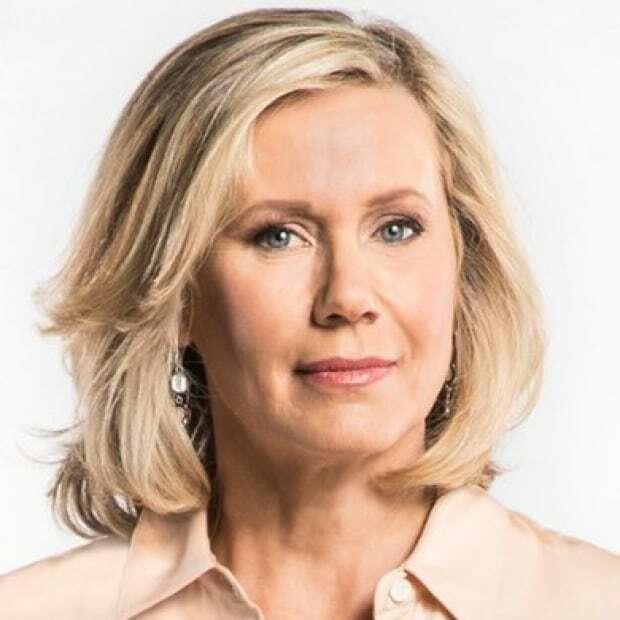 Watch Susan Ormiston's documentary tonight on CBC Television's The National.